This is the follow up to the delightful story Maple published earlier this year. 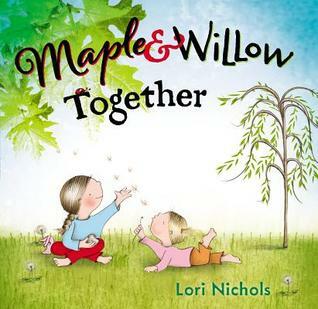 Maple was Lori Nichols debut picture book. You can read my review of Maple HERE. In this book, Maple and her little sister Willow do everything together. They play together, sleep together, and even have their own special language together. But one day, Maple gets angry and Willow gets angry and they are sent to their rooms alone. The girls don’t like being alone, and make-up across the hallway. Pretty soon they are playing outside together and sleeping together in the same bed. Lori Nichols has done it again! This second book is just as warm and loving as her first book. The relationship between the sisters is so real. And the artwork is beautiful. It shows how sisters can be each other’s best friends even when they don’t always get along. I love this story and I think you will too. I can’t wait to share it with my granddaughter who just became a big sister last month! Two bears hate to share, but find only one pair of underwear…one gets the underwear and one cries, ‘That isn’t fair!’ Three young yaks find two salty snacks…two get snacks and one cries, ‘Where’s my snack?’ Four silver seals find three sets of wheels… three get the wheels and one gets a really bad deal. The pattern continues with more animals who hate to share, until finally twenty pigs find ten tall twisty slides. They all want to ride, so they share the slides by riding piggyback. Now all the other animals see how much fun sharing can be. Pretty soon everyone is sharing and laughing and playing together. 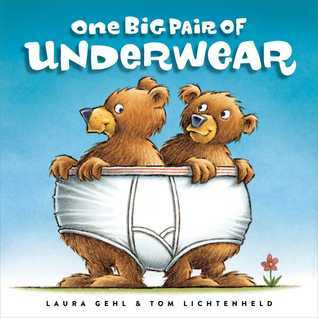 Laura Gehl and Tom Lichtenheld shared the making of this story beautifully! 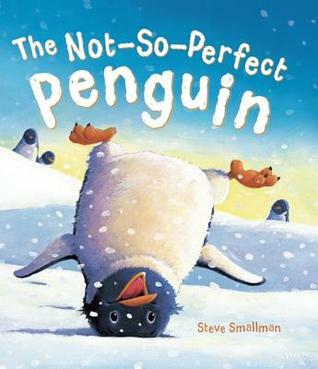 The rhyming text is paired with funny pictures to make a silly rhyming, counting, sharing picture book. Counting and sharing, sharing and counting… This is a winner for everyone! No one gets left out and everyone has fun, who could ask for more?